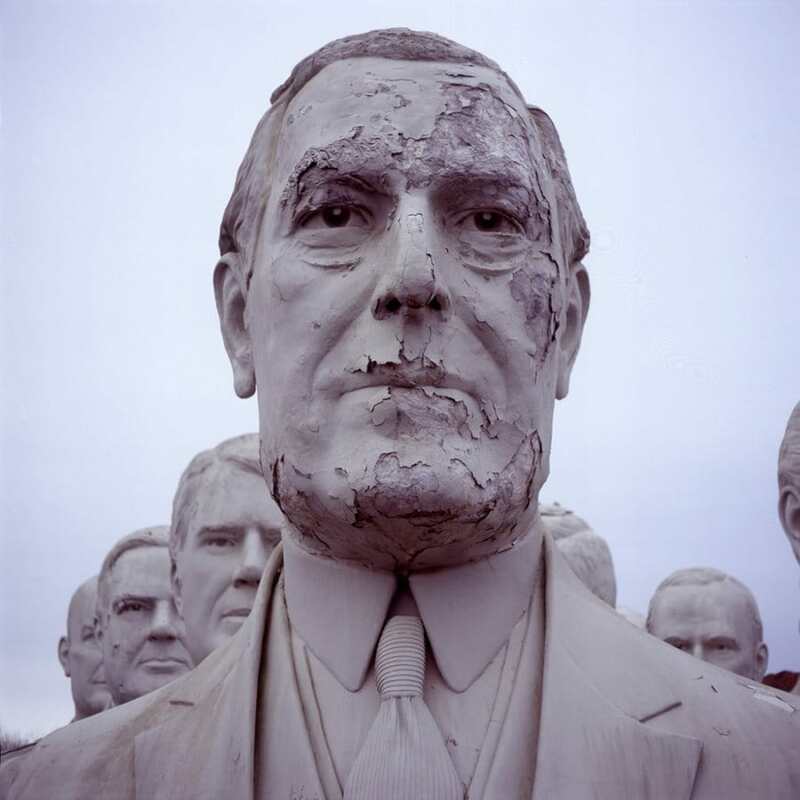 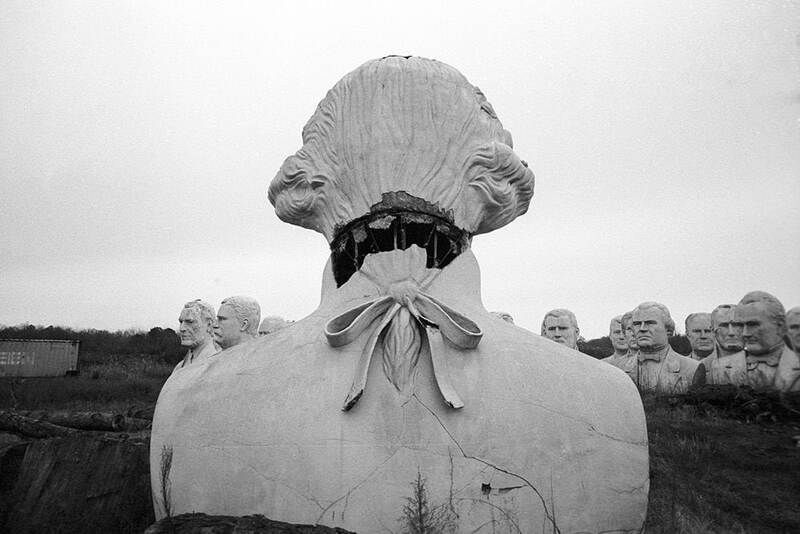 Forty presidential statues weighing forty-thousand pounds each are crumbling on a Virginia farm. 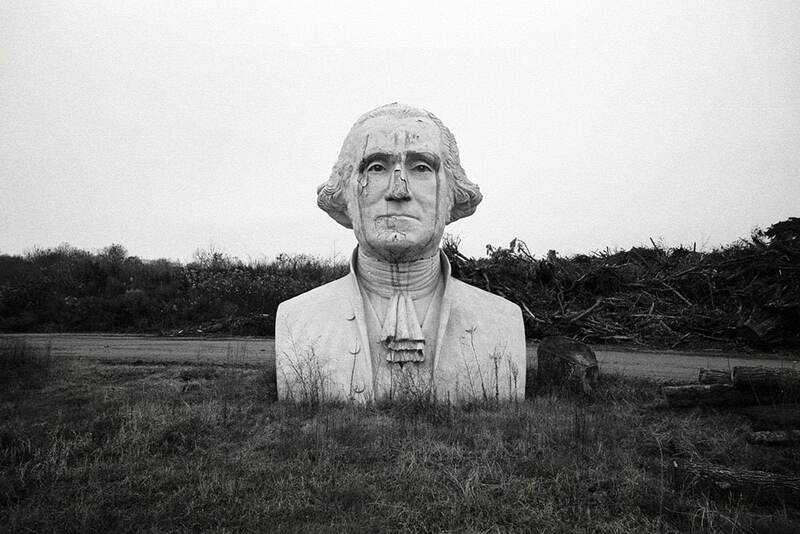 The sculptures were originally commissioned from a Houston artist as the centerpiece for President’s park, a would-be ten-acre outdoor museum that would have included informational plaques planted in Williamsburg, Virginia. 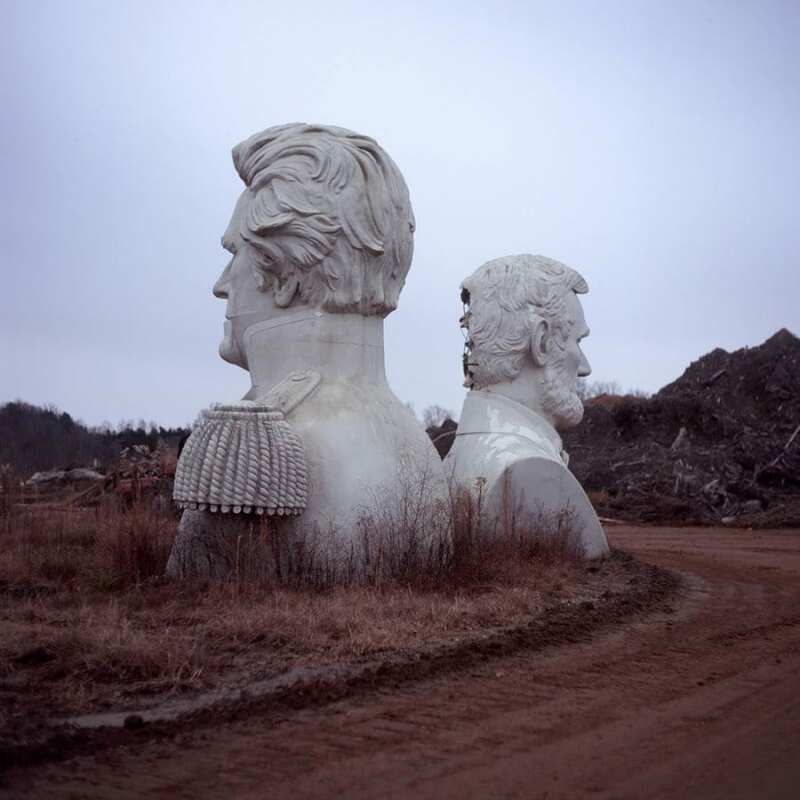 After the unsuccessful museum opened in 2004 and closed just 6 years after, the statues were moved to a private Virginia farm. 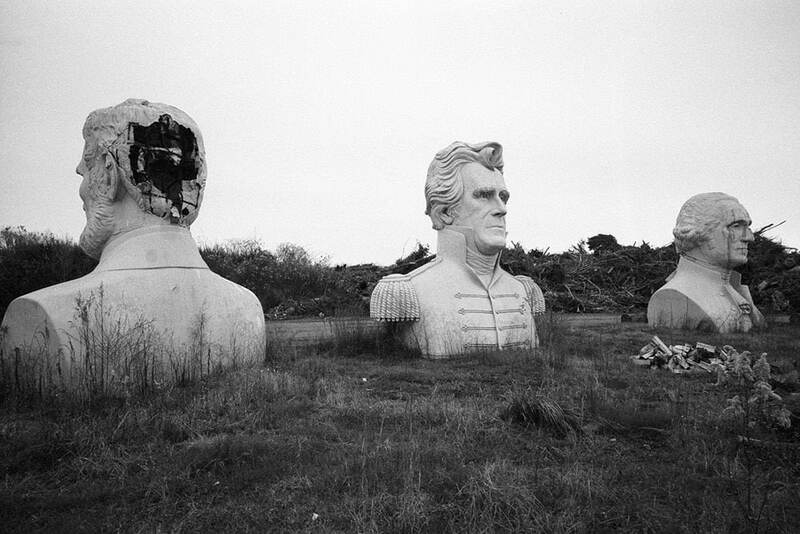 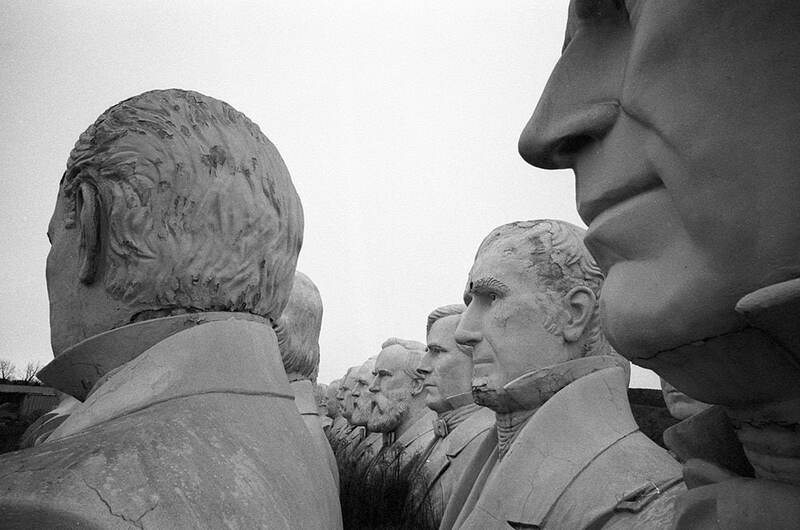 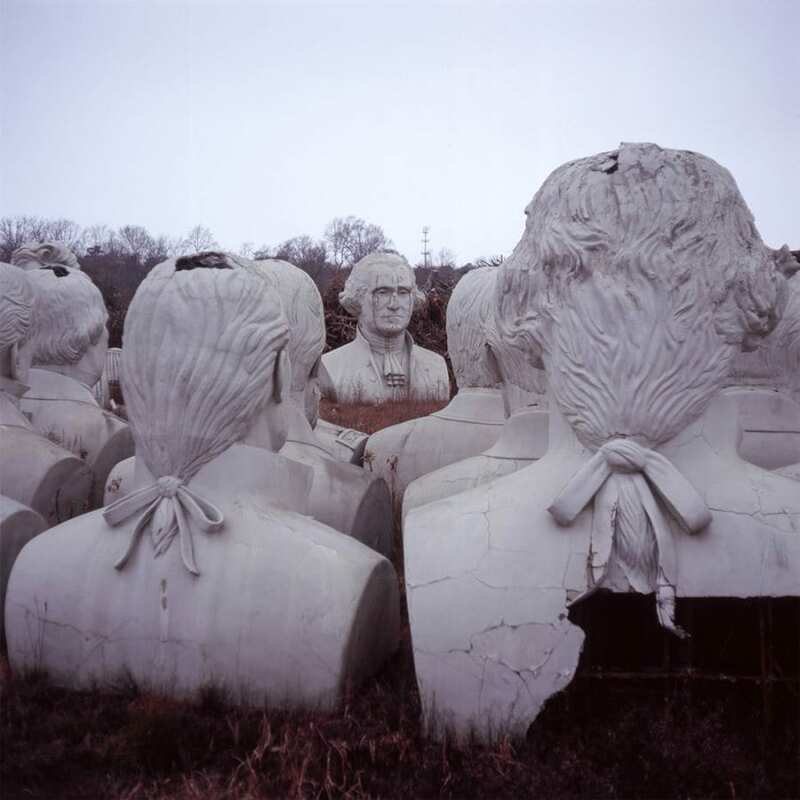 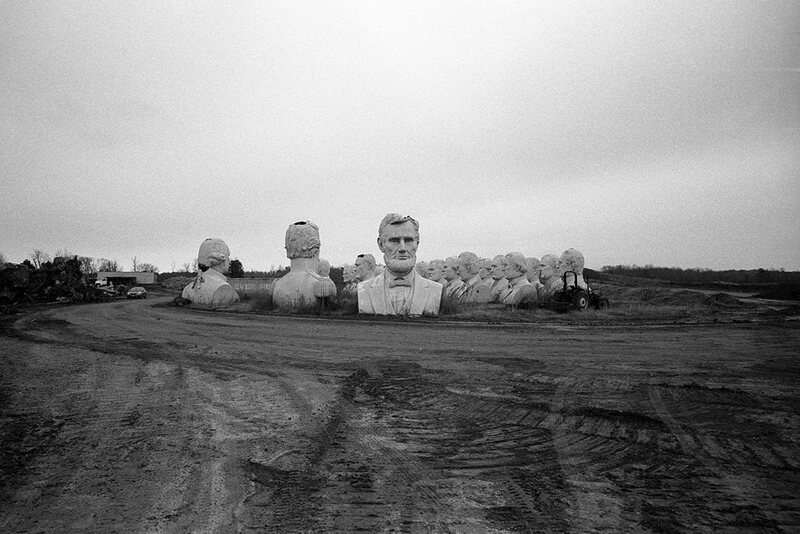 The photos were captured by Patrick Joust who visited the presidential graveyard to capture the eroding statues. 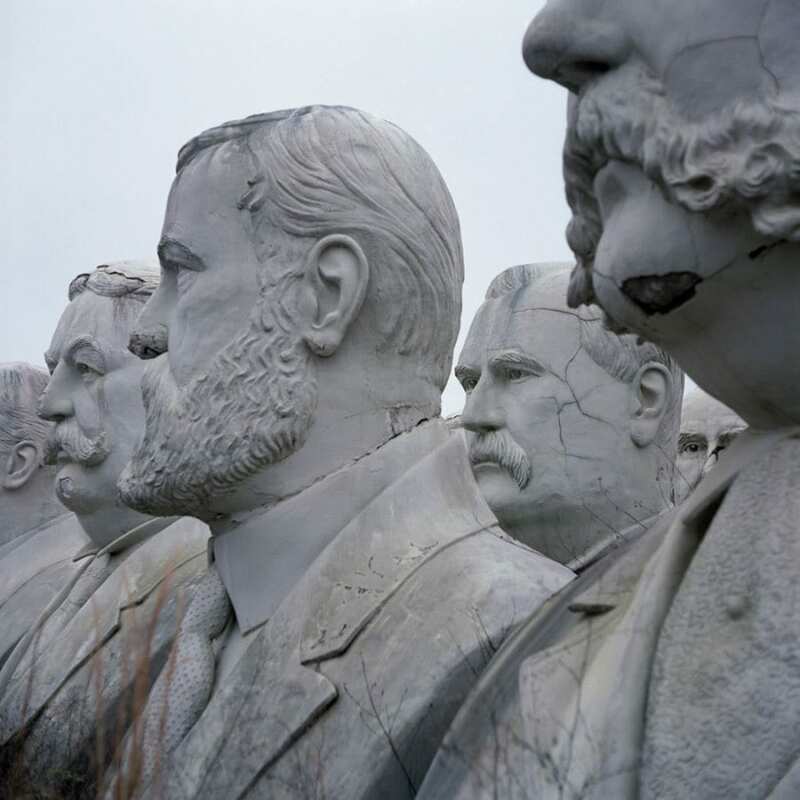 Others are already faded and peeling from the elements… But there’s some good news, Abraham Lincoln’s now rests in front of the Lincoln RV Park in Williston, North Dakota, and Theodore Roosevelt’s sits outside of the Roosevelt Inn in Watford.